Hear him describe his work or its importance, the charm in real-life Ironman aka Elon Musk's promises would make you believe in the next big phenomena, 'Becoming a Multiplanet Species'. In the 68th International Astronautical Congress, he gave the world an update on his revised mission to Mars, Moon, and attain intra-planetary trips. Interestingly, he has the big plan to finance his project along with finding the right resources needed in achieving his idea. 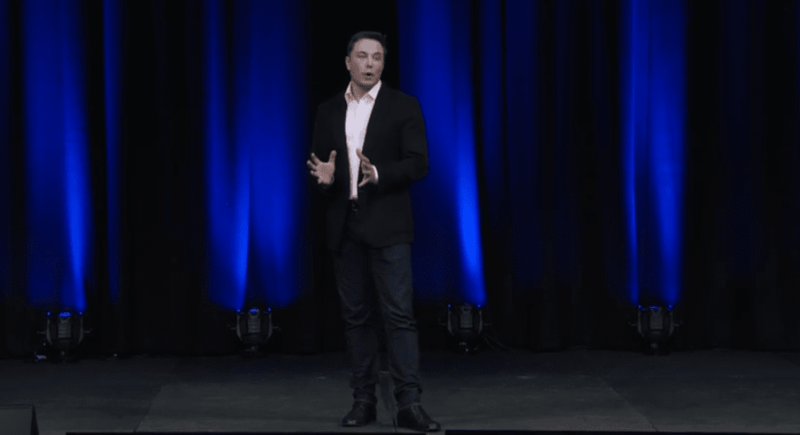 He literally mentioned about using the resources reserved for Falcon 9, Falcon Heavy and Dragon spacecraft in creating the codenamed space giant BFR ( meant to portray something which is really big ). While he was as futuristic as always, he touched every achievable aspect and the growth his company faced throughout its existence. An idea to be adopted, Wikipedia already has an article which defines the BFR as a privately-funded launch vehicle, spacecraft, space and ground infrastructure system of spaceflight technology, replacing all his earlier vehicles such as Falcon 9, the Falcon Heavy and the Dragon spacecraft. Last year, it was the Interplanetary Transport System for Mars colonization and this year it has been adapted to support his next big thing. On the same day, he proposed to cut down the total number of main raptor engines to 31 from 42 but the rest of the design including in-orbit fueling and propulsive landing remains the same. Despite Musk's interest in manned mission to Mars, he planned to hybridize the ITS for launching satellites, taking cargo to the International Space Station and harboring moon missions. In short, the chief executive of SpaceX has attributed his system of survival as an interdependent cycle that cannibalizes previous initiatives to manufacture the future enigma. The proposed BFR has introduced a dramatic change in Payload but will be a fully reusable system whereas the Falcon 9 was only 70%-80% reusable and that would be an indirect way of saving the cost. The new BFR design is 30 feet in diameter and the basic portion contains the engines, the propellant tanks and the payload with an extra Delta wing, not initially proposed. This extra nose like structure at the back basically balances the rocket despite having a difference in payloads and diverse atmospheric densities. According to his theory, the company will send cargo missions to Mars in 2022 and a combined cargo and crew mission will be launched in 2024. Now, you trust Elon Musk or you can analyze and find that the date was strictly ambitious rather a pinch of motivation to take on some serious challenges. As per the last year's plan, the complete mission would have cost a $10 billion which is now replaced with a more practical plan. Although he gives an idea to finance his project but it seems he will need help with funding. Ultimately his speech ended with a mind-blowing twist. He envisioned, a hybrid system that can take you to Mars might have the capability to take you to a different land on Earth. The mega rocket instead of taking people to Mars from New York can take them to a different city, Shanghai in just 39 minutes. Other routes in his presentation included Hong Kong to Singapore in 22 minutes, London to Dubai or New York in 29 minutes, and Los Angeles to Toronto in 24 minutes. An Instagram update from Musk just after the announcement also said that the price per seat would be similar to a full fare in economy class on a commercial airline. Sounds we have to live a minimum of 5 years to cherish the facilities with the hope that the company will meet the deadlines.